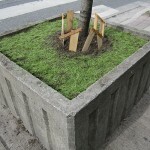 Woodhenge planter by Alison Snowball. 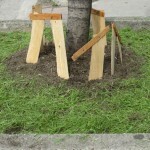 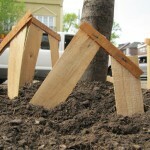 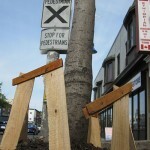 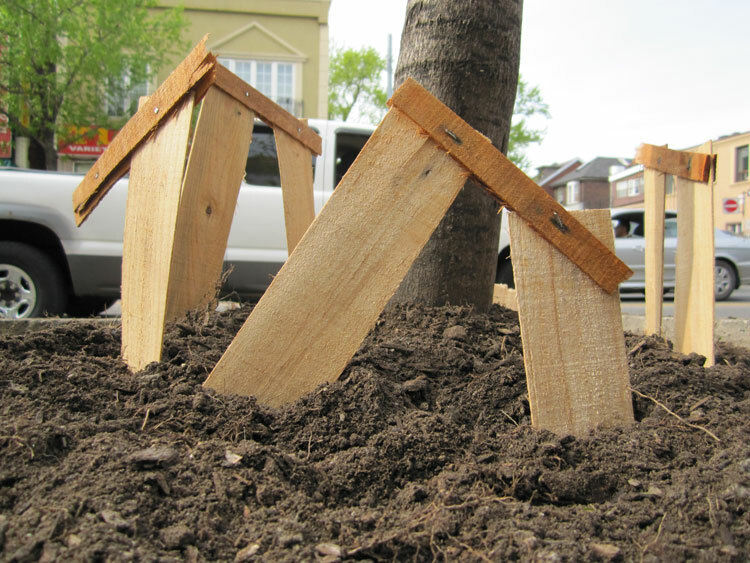 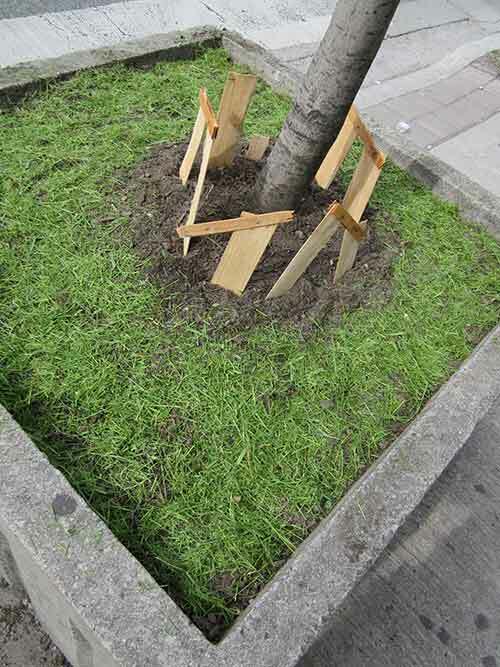 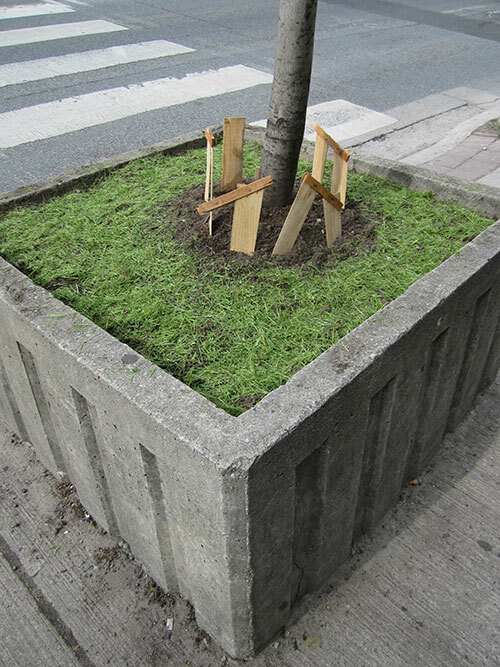 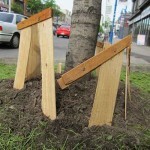 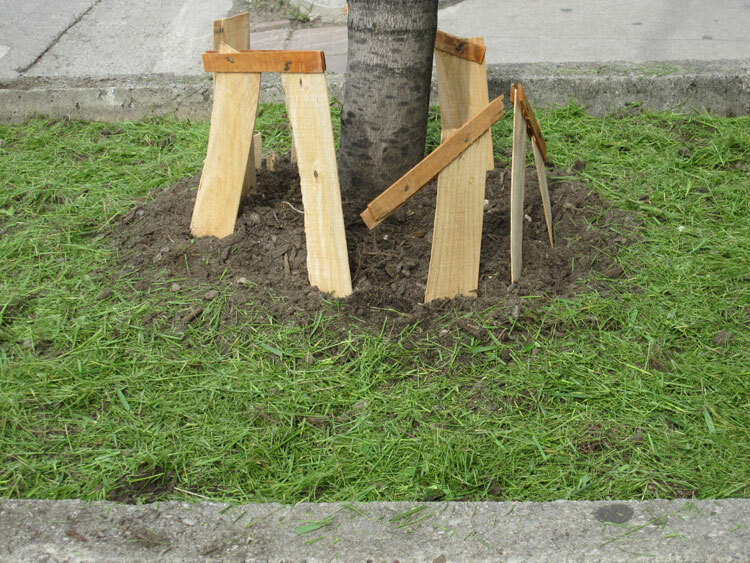 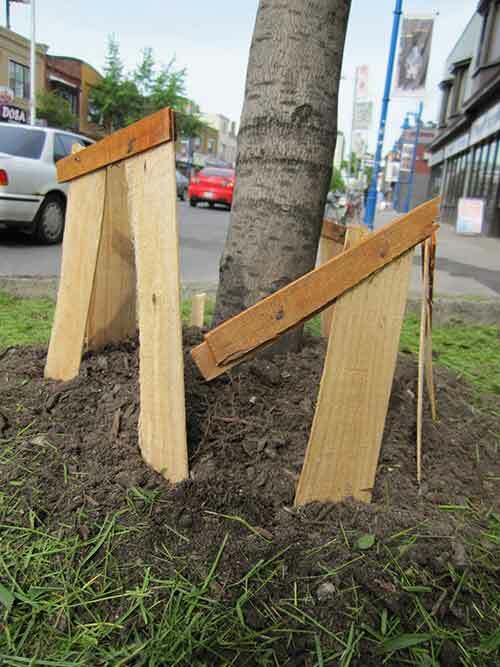 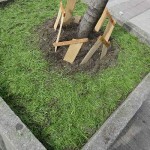 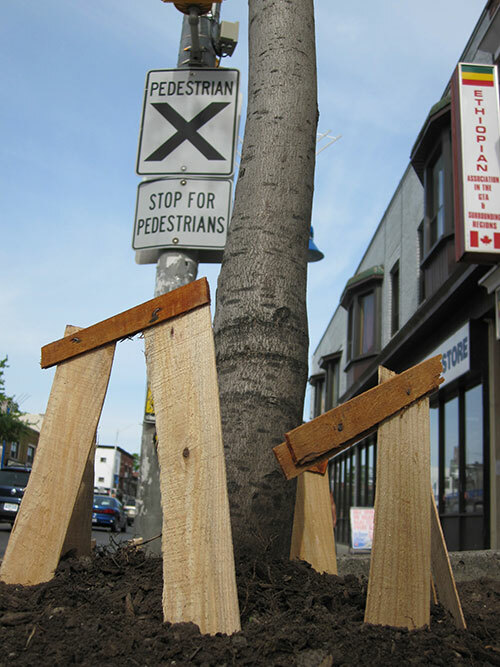 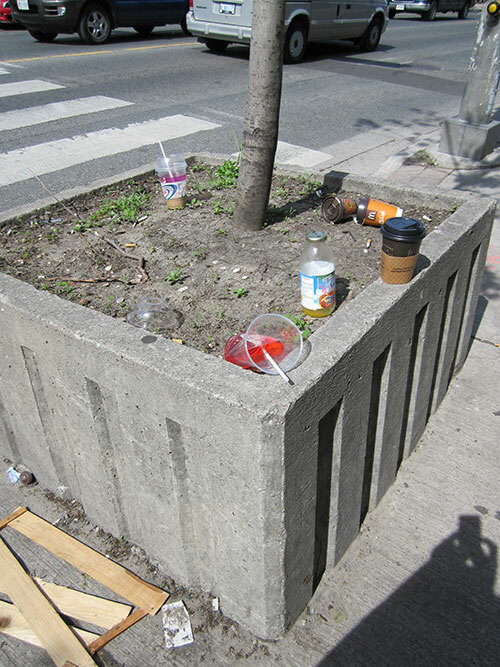 This improvised installation was created using a broken crate found next to a planter on the south side of Bloor Street West at Emerson Avenue. 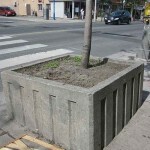 Alison started by weeding and cleaning out all the garbage found in the planter, made her Woodhenge fence, and finished by adding green a layer of grass trimmings "imported from a freshly mowed lawn in North York". 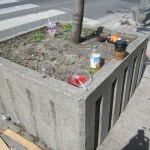 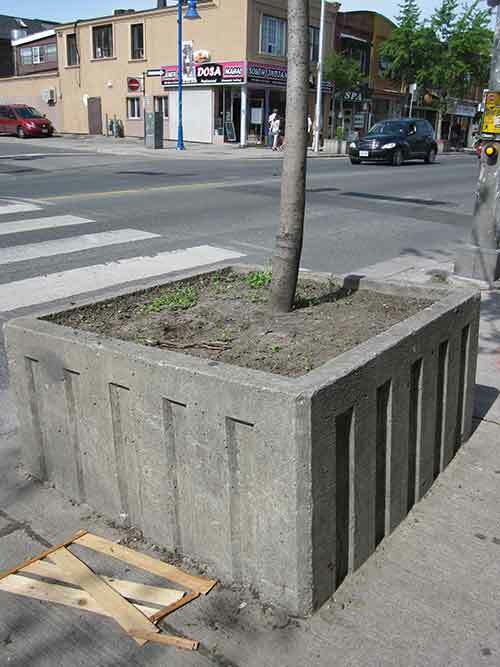 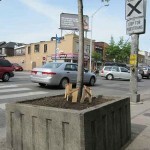 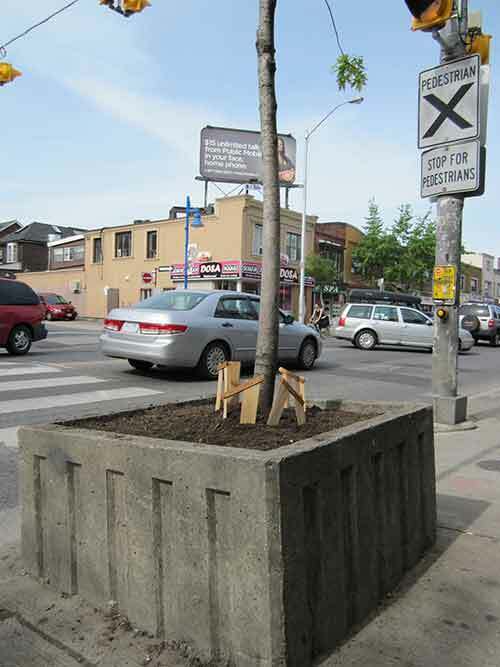 Alison also cleared the garbage and weeds out of many other planters along this stretch of Bloor, and helped other artists with their installations.